School segregation in Richmond City and its surrounding counties is a persistent problem. 64 years after Brown v. Board of Education, the demographic makeup of schools in the area is still largely divided along racial and economic lines. 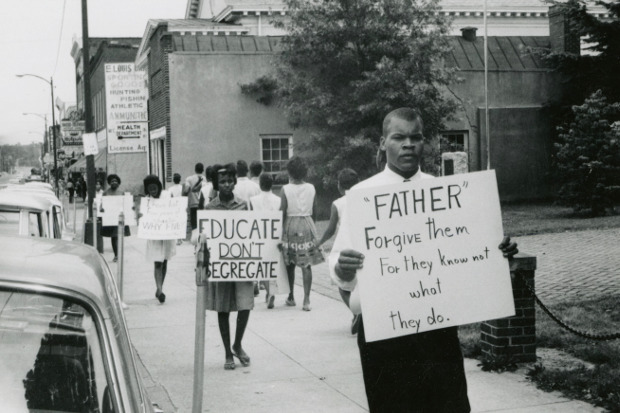 Controversy/History, a monthly series of events organized by The Valentine Museum, held a panel discussion last week entitled Education: Segregation Then & Now, which examined the history of school segregation in the Richmond region with an eye towards the future. The event featured two guest speakers, Chris Duncombe and Dr. Genevieve Siegel-Hawley, who used demographic and economic data to paint a picture of the ongoing issues of school segregation facing the Richmond community. Duncombe, a senior policy analyst at the Commonwealth Institute for Fiscal Analysis, used U.S. Department of Education data to show the connection between poverty and race in public schools in Richmond and throughout the state of Virginia. According to the available data, most non-white students in the Richmond area attend schools with student bodies consisting of 70 percent or more students of color, and whose students are predominantly economically disadvantaged. “A higher percentage of Virginia’s students of color are being educated in schools of concentrated poverty over the last decade,” Duncombe said. According to Duncombe, schools in areas of concentrated poverty face unique educational challenges and shortcomings, such as higher turnover rates among teaching staff and unequal resource allocation. “Students of color are disproportionately experiencing some of these educational challenges,” Duncombe said. The presentation highlighted the growing number of Latinx students in the region. Around Richmond, Latinx student enrollment has doubled in the past five years, and these students have the highest dropout rate of any group in the area. The ten-minute lecture connected Richmond’s present school-segregation battle to the state’s efforts to halt desegregation in the years following Brown v. Board of Education. Virginia politicians largely supported a strategy of “massive resistance” against school integration throughout the 1950’s and 60’s. “It’s really important that you have an understanding of the history before you look at the data or try to interpret it,” Duncombe said. Dr. Genevieve Siegel-Hawley, an associate professor of educational leadership at Virginia Commonwealth University, gave a brief presentation that illustrated the relationship between school and housing segregation in Richmond. The lecture used housing and educational data from several Southern cities to illustrate the lasting impact of massive resistance on Virginia’s education system, and the severity of Richmond’s school segregation problem in comparison to other cities. At the end of her presentation, Siegel-Hawley provided a list of possible solutions to problem of school segregation in Richmond, and opened up the floor for discussion. Several attendees shared personal stories about their time in Richmond public schools in the decades following Brown v. Board of Education. Brenda Williams-Jones, one of the first African-American students to attend John Marshall High School, was in the audience. Controversy/History is a monthly event that seeks to engage the Richmond community in discussions about hyperlocal issues. The event is free and open to the public, and is hosted by Valentine Director Bill Martin and radio host Kelli Lemon. The full 2018-2019 Controversy/History schedule is available here. Next month’s topic is titled “James River: Commerce or Recreation?” and will take place on Dec. 4 from 6 to 8 p.m. at The Valentine. Like the garments they’ve made and worn, the relationship between women and fashion is deeply interwoven with the history of Richmond. 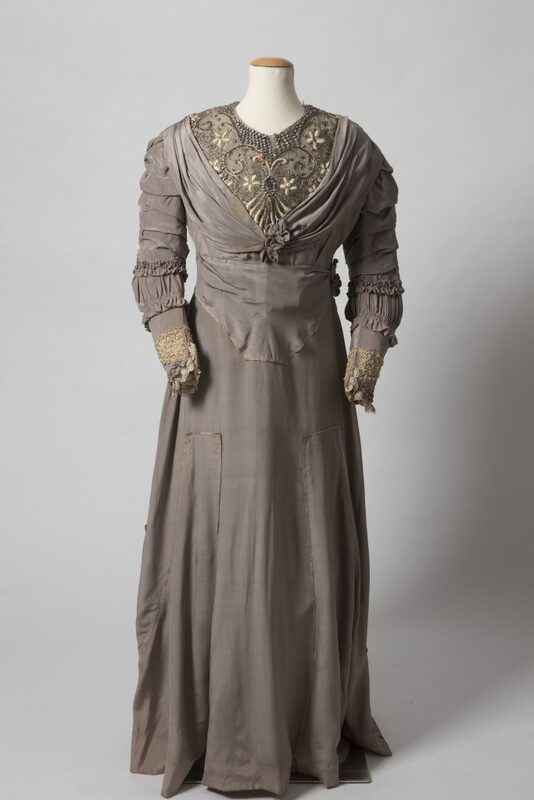 A new exhibit at The Valentine Museum, “Pretty Powerful: Fashion and Virginia Women,” explores the individual stories of these designers and the women who wore their clothing. The exhibition contains garments from the 19th century to the current day. Speaking to Kristen Stewart, curator of the exhibit, RVA Magazine got a behind the scenes look at some of the fashions worn in Richmond through the years and how women have shaped and evolved that industry. “In Richmond and elsewhere, milliners and dressmakers were one of the first woman to serve as independent business owners and entrepreneurs,” Stewart said. She learned this from reviewing archival copies of the Richmond Times-Dispatch and the Richmond Inquirer and reading the classifieds. Among the exhibits is Sue’s hat collection, “The American West: Land of Enchantment”, released in the fall of 1970. 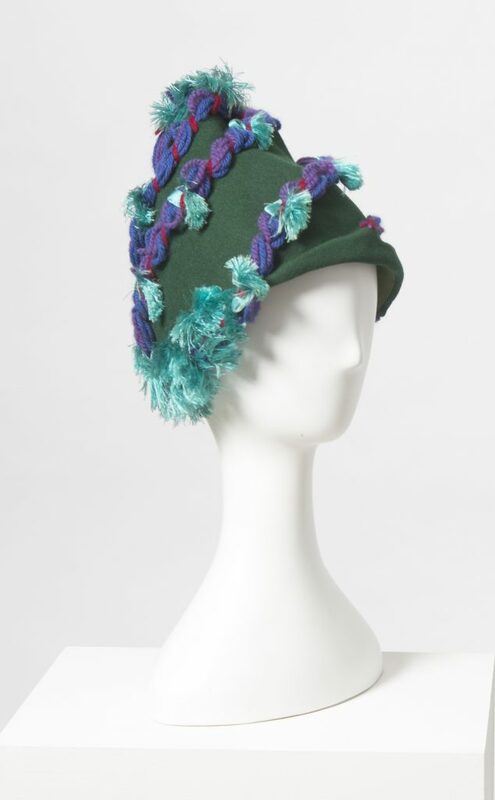 The hats in this collection capitalized on a growing interest in world fashion, bringing new elements to American hat design. The interest in world fashion turned Richmond into a melting pot of various influences from far away and close to home. Contemporary designer Carter Johnston, who launched Grove Avenue women’s clothing boutique CCH Collection in 2012 with her sister Alston Daigh, took her inspiration from the women closest to her. In comparison, designer Ottie Windmueller took inspiration from far off lands and shared that love of travel with future generations of designers. Windmueller served as chairwoman of VCU’s department of Fashion Illustration and Costume design, now The Department of Fashion Design and Merchandising, from 1965 to 1976. Stewart said, “Her main innovation was the practice of traveling with design students, taking them to Europe and New York for inspiration. She’d also bring in talent from those places to come in and speak to students,” something that was highly unusual but now is standard practice. Windmueller was a world traveler and a refugee from Germany during World War II, something that Stewart thought inspired her unusual approach as a professor. Western interest in foreign designs also benefited foreign designer, Stewart said, pointing to Hanae Mori. 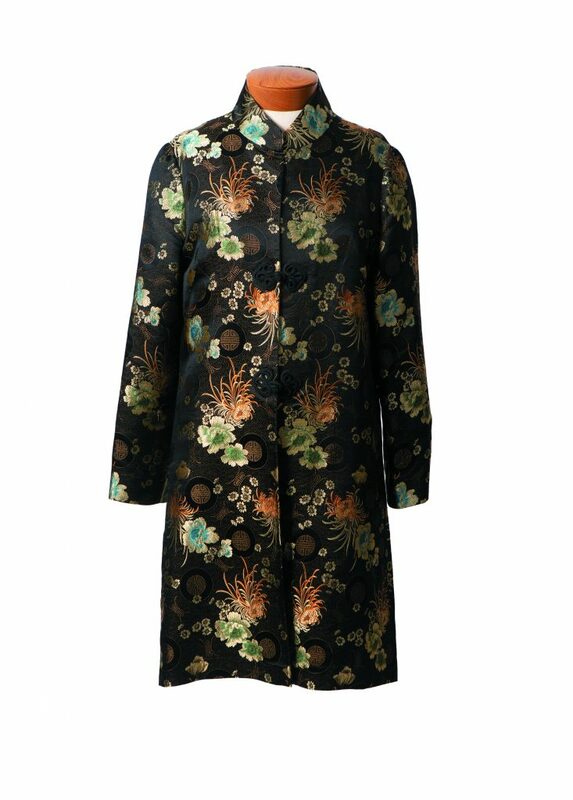 Stewart described her as “one of the earliest Japanese designers to work in the Persian tradition selling to a western market.” In 1965, Mori presented her first collection in New York titled ”East meets West”; in 1975, she showed her collection in Paris. In many circumstances, women’s skills transcended their race and social status. Franny Criss was one of these success stories, according to Stewart. “Franny Criss was an African American dressmaker who grew up in Richmond. She started as a seamstress who traveled home to home, as many did,” Stewart said, before she became successful enough to open a business on Leigh St.
Criss’s fame grew quickly, and she worked with high-end clients white and black. Stewart ascribed her success to the wealth she built in Richmond, which even let her purchase a townhouse in Harlem near Madam C.J. Walker, the first millionairesses in America. Throughout the whole exhibit, pieces showcasing the journey and achievements of Richmond fashion designers and wearers are on display. One garment in particular, an Anne Klein skirt suit, speaks to the contemporary age of female leaders and entrepreneurs. Stewart said it was on short-term loan from Dress for Success Central Virginia, a program that helps local women with professional clothing to improve their position. After the show, it will be returned to the nonprofit for the women they help, Stewart said. “We are very excited to have a physical representation of that mission and we feel that that mission fits the narrative of the show very well,” she added. The design and organization of the show are remarkable in showcasing significant garments from the past and present. It is easy to get lost in the fantasy of how these innovative women worked to make the fashion scene both in Richmond and internationally what it is today. The work of Sarah Sue, Ottie Windmueller, Franny Criss, and many others can be seen at the “Pretty Powerful: Fashion and Virginia Women” exhibit now until it closes on January 27th, 2019. Cover image courtesy Fabric Department in St. Luke’s Emporium, 1905 Graphic reproduction, V.88.20.22, Independent Order of St. Luke Collection. Other photos courtesy Jay Paul/Richmond magazine. In high school, I, like many Richmonders walked down Monument Avenue during class field trips. I marveled at its beauty with my friends and thought simply of how I loved this town. Richmond today is a bastion of the arts and independent culture, with a venue, gallery, or studio seemingly on every corner. Did VCU “build this city”? T-shirts distributed by the VCU’s Students Today Alumni Tomorrow (STAT) organization have been proclaiming as much, and some students are not having it. The 1925 collapse of a train tunnel beneath Church Hill is the subject of a documentary currently in production here in RVA. The Church Hill Tunnel Collapse Documentary focuses on the 1925 disaster itself, as well as its present-day ramifications.